The Institute of Management Accountants (IMA) has unveiled a new version of its “You’ve Got to Earn It” campaign to ensure members and potential members that their jobs aren't likely to be replaced by machines. 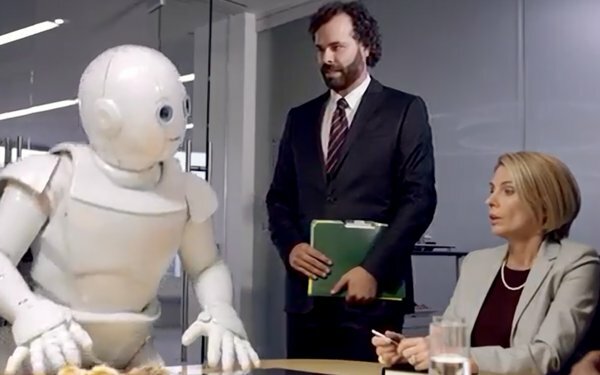 Developed with The Gate | New York, the creative features a male accountant alongside several costumed-wearing white robots to make the point that certified accountants, à la IMA's credential programs, will still make the strategies and decisions despite the fact that automation is becoming part of their profession. The campaign ends with the tagline, “You’ve Got to Earn it." The campaign’s multi-channel national components include a 30-second TV spot, radio, print and digital ads. The media mix is aimed at B2B audiences across CNN, Bing Search, and Accounting Today, among other outlets. A partnership with Forbes will include digital as well as two inserts in the print magazine. IMA will also extend the theme across social media and will target millennials and young professionals for the first time via Hulu and YouTube. IMA first launched the “You’ve Got to Earn it" messaging in September 2016.